Ever wonder why Fendi and Aston Martin decided to jump into the luxury real estate game with their own branded residences? Or why there are so many high-end transit-oriented projects springing up in cities across the country? What has more impact on how modern luxury homes and communities are conceived: financing or the affluent consumer? 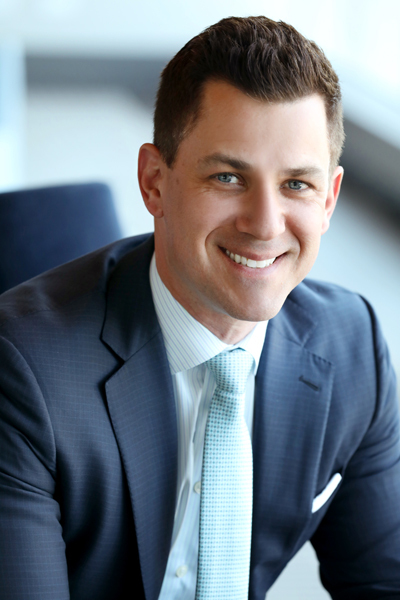 We recently posed these questions and more to David Wolf, head of ON Collaborative by Coldwell Banker Real Estate Services, a brand-new company specializing in new construction developments. The Chicago-based real estate veteran has the inside track on urban luxury development: he currently scouts new development opportunities across the country, and oversees the marketing efforts of thousands of condos across the country. 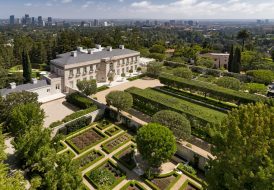 He is also working closely with Craig Hogan, vice president of luxury for Coldwell Banker Real Estate LLC, in efforts to expand the division’s global luxury footprint. His answers both surprised us and intrigued us. Coldwell Banker Global Luxury What are some of the most interesting things you’re seeing, in terms of the kinds of developments being built right now? David Wolf In many of the cities outside of the East Coast, we’re seeing a lot of luxury development, and in particular, branded development. I say “outside of the East Coast” because cities like New York and Miami are on the other side of their cycle right now. But in cities like Chicago, L.A., Dallas, and San Francisco, we’re seeing branding with hotels or branding with another luxury brand. Of course, amenities have been a major differentiator in luxury for a long time. Coldwell Banker Global Luxury What do you think is driving this trend toward branded development? David Wolf It’s a multifaceted answer. The branding is a hook to attract buyers and to drive the value up, since most amenities couldn’t do that on their own. Also, if you have a piece of land that is worth X number of dollars, you want to maximize the return on your investment and make it easier to finance by adding mixed-use. Integrating with a hotel provides the condo developer with that opportunity — because a hotel is financed differently than residential. So, we see many developers first using the hotel as a means to secure financing and also helping to sell the condo units. You can look at this way: typically, the bank will require that you pre-sell 50% of the condo units prior to giving you the loan on the property. If you’re attaching a project to a hotel, the hotel is financed more like an investment property. Banks use different metrics and income-to-debt ratios. Coldwell Banker Global Luxury Are you saying that it’s not the consumer driving this trend, and it’s more about the complexities and financial risks associated with development? David Wolf It’s a little bit of both. There are actually three factors, to answer your question. First, it is consumer-driven, because people like amenities and people also resonate with luxury brands, as there is a cachet there. Second, our society is going toward hybrid everything, so we are seeing more mixed-use developments that have everything in one place — you’ll have a great hotel, great restaurants and a condo product on top of them. The third factor is the financing. It is just easier to get condo a built if you have something supporting it financially. Plus, you can diversify and cover your down-side, too. Coldwell Banker Global Luxury Which cities are leading this trend? David Wolf New York, primarily. You see this concept a lot there. Just look at what Related Companies, the real estate developer behind the $25 billion Hudson Yards project and Time Warner Center in Columbus Circle, is doing. Time Warner Center hits every category — retail, hospitality, office and residential in two towers, with a combined podium. But we’re seeing this concept everywhere now, because we’re finally seeing the numbers starting to work for-sale projects. If you think about it, we had the Great Recession in 2008, and there was no new construction for five to eight years. So there was a gap and a shortage of inventory. What came next were high-end rental buildings. If you look at it from the perspective of the institutional investor who was going to buy a luxury apartment building, the returns and the cap rates were so strong for so many years. 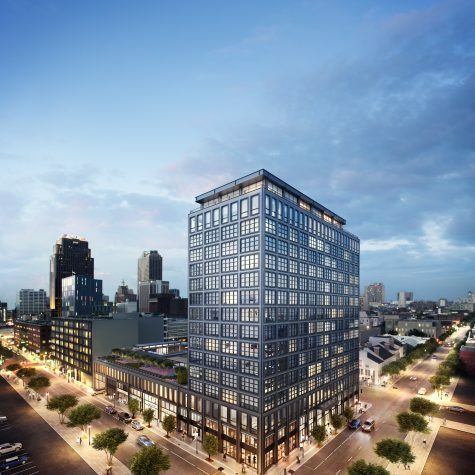 What the developer of a stabilized building could sell it for was significantly higher — on a per-door basis and a per-square-foot basis — than a condo building in most markets. So, if you’re a developer, you had less risk on an apartment building, plus it was easier to finance and you could sell it for more money in the end. Why would you build a condo building? 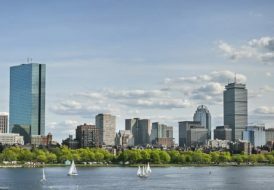 So what we saw in markets that could sustain those high prices — cities like New York, Miami, L.A., D.C. and Boston, where condo developers could sell units for $1,500 per square foot or even $5,000, $6,000 or $7,000 per square foot in New York, and international buyers were putting down cash for high-end condos — the new condo cycle happened there first. In other more conservative markets, like Chicago, Dallas and Houston, you saw more luxury apartment development. Now, the numbers are starting to make sense again for luxury condos in those cities. Additionally the banks and equity lenders are now nervous because there are so many apartments in the pipeline, so they actually prefer that developers go to condos in those markets. Also, when you look at a city like L.A., it has never really been a vertical condo market. It’s mostly been a single-family market. That’s all starting to change. Now, there is a big push for the city to go downtown. So, we’re seeing a lot of Chinese developer and investor influence, and a lot more for-sale development happening in L.A.
Coldwell Banker Global Luxury Are there any factors that have led to the increase in branded development over the last few years? David Wolf I think buyers — especially millennials — were gun-shy about buying condos in many markets. When you give people a brand that they trust and know, it helps attract people to the project. Also, the brand identity can help give the project more credibility. Just look at the Four Seasons Residences, for example. They create an instant sense of status and instill brand loyalty in buyers. Coldwell Banker Global Luxury You mentioned the Four Seasons Residences — are you seeing more hotel-residence concepts as well? David Wolf It’s not necessarily a new concept. You’re seeing a lot of it now, in the last five to seven years. Some of these projects are condo-hotels. And some of them are straight condos, with a hotel brand as the level of service. There are three slightly different hotel-residence concepts, actually. A good example of a condo-hotel is The Conrad hotel in Fort Lauderdale, where you can use your condo as an investment property by renting it out as a hotel room. 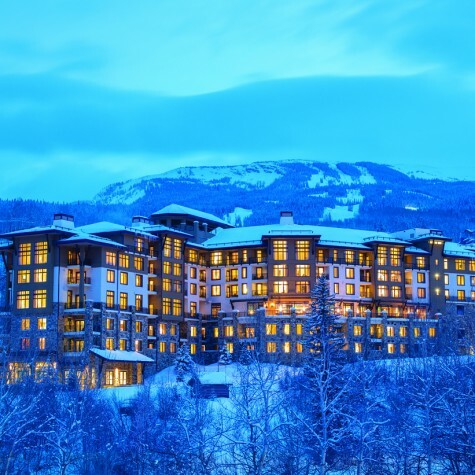 Another example is The Viceroy in Snowmass; it’s whole ownership, where they put it into a rental pool. Then you have a mixed-used building, where you have a hotel with a condo on top of it with a separate lobby, vertically subdivided, and the condo owners utilize the amenities and services of the hotel. Trump Tower in Chicago is a good example. And then you have a branded condo. Coldwell Banker Global Luxury Another trend that we keep seeing in the luxury space is the influx of crossover condo product. Fashion houses and auto brands like Fendi, Versace and Porsche are getting into the real estate game. Can you speak to this? David Wolf Right. These are hybrid-branded concepts. From a marketing standpoint, they are trying to evoke the cachet of that luxury brand in the condo project. So, if you see the Aston Martin Residences or the Porsche Residences, you’re associating the brand’s qualities with the condo — you know, great design, exclusivity and beauty. If you already identify yourself with that brand and you say, “Oh, that’s me,” you will automatically identify with the condo building. Because every time you create a new building, you have to create the brand from scratch — you have to name it and market it, if you are going to market it. You’re selling everything — the location, the amenities, the floor plan. But if you can attach a recognizable brand to it, that marketing is almost built-in. There are negatives to that, though. The HOA fees are typically higher because there is a cost to the name and using those services. 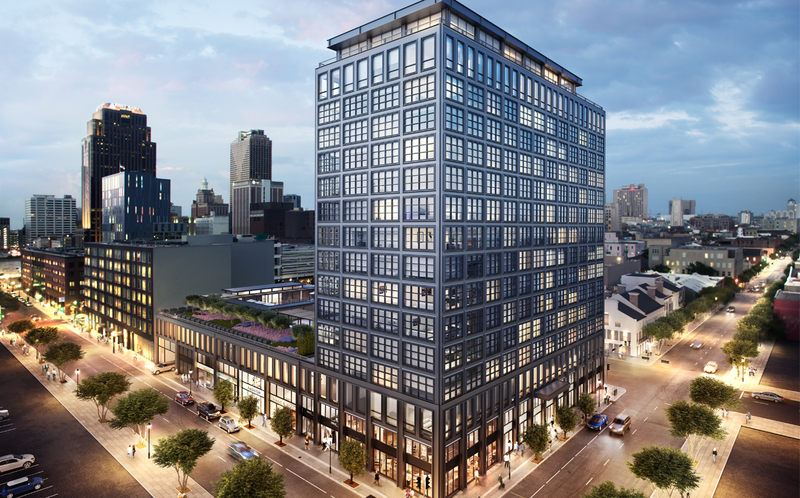 The Standard at South Market in Downtown New Orleans, opening in Spring 2018. 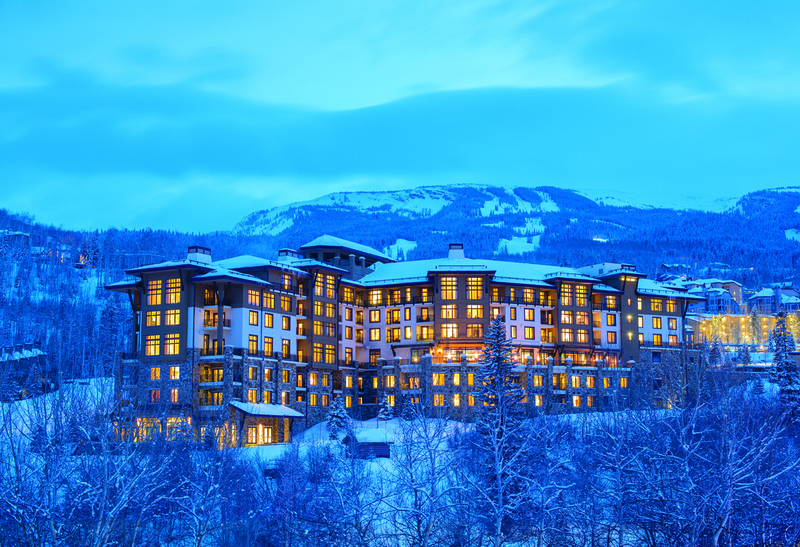 Coldwell Banker Global Luxury What other luxury development trends are you seeing? David Wolf Transit-oriented development is another big trend. Most major cities are now pushing out initiatives with incentives to build transit-oriented projects, such as enhanced zoning FAR, which allows developers to build larger projects with fewer parking requirements. So, you’re seeing new infrastructure projects and more train lines also happening in major cities. They are everywhere. In L.A., there’s a lot of transit development going in and around Staples Center. In Tyson’s Corner, Virginia, in the D.C. area, there is a lot of transit-oriented development, as many corporations and business are moving to the area. Chicago, too. 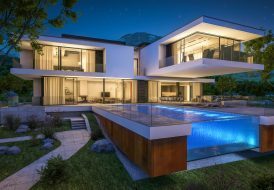 Coldwell Banker Global Luxury Going back to millennials for just a second, do you see the younger generations of buyers as also pushing this trend forward? David Wolf I think that plays into it, yes. Millennials want walkable and accessible properties. It’s almost reverting back to the way it was in old cities, where everything was close by, walkable and in your neighborhood. Urban planners are designing for walkability and cities are giving developers incentives for it and creating zoning standards that support this lifestyle. Coldwell Banker Global Luxury In terms of amenities in new developments, what’s on fire right now? David Wolf Developers are always trying to find hooks and looking for unique amenities to offer buyers. Branded gyms or those designed by a well-known designer are really popular right now. Wellness and spa treatment rooms, where you can bring in your own masseuse, are big. Connectivity — technology — is another big thing, where you push a button in your condo and the valet brings your car up, or you can control your home through an app on your phone. Ceiling heights are another sought-after element — everyone wants height. Coldwell Banker Global Luxury Are you seeing any new or interesting types of luxury products coming online? David Wolf Not really — we’re still seeing your typical vertical, townhome, row home and single-family detached products. Some developers are starting to unveil some really cool placemaking concepts, like bringing in everything — residential, hotel, office, condo, apartments and marinas with self-cleaning lake — to create a destination. But overall, I think the industry is moving toward urban living and vertical living. Coldwell Banker Global Luxury That brings us to our final question. What’s the next major luxury development trend? David Wolf The next thing you’re going to start to see is affordable luxury, where the unit size is smaller and the floor plan is more efficient. I see statistics in many markets where there is dearth of inventory at certain price points. There is a gap, probably somewhere between the $500,000 and $1 million range in most markets outside of high-cost cities like New York, L.A. and San Francisco. Many of the rental buildings were built to attract the younger generations of buyers — the millennials and Generation Z — but as they start to move into the buyer pool, they want efficiency and less waste. The older generations of luxury buyers at one time wanted gracious homes for their primary residence. They wanted big. But that’s expensive. So, I think we’re going to start to see in many cities that the ultra-luxury market will start to cool to some degree, and we’ll start to see the mid-range markets — determined primarily by size and price point — pick up.